1950-1960's - "Let the Good Times Roll"
The American life in the 1950’s was good for most people. World War-2 was over, the economy had started to recover, jobs became plentiful and the middle class was flourishing. Bigger houses, bigger cars, and bigger waist lines became status symbols of the day. For men a hefty waistline meant that you were a good provider and could afford the spoils of life. This was not true however for American women, as they were subject to a strict double-standard that was in place during this era. Many movies, television shows and print advertising featured beauties with “Hour-Glass” bodies and with unuttered expectation; women were to posses a lovely, curvaceous figure. Many health and beauty experts of the day got their chance to show women how to develop a beautiful figure. It was the first time that women, on a mass scale, learned about body shaping and fitness. Family Circle magazine released a record and booklet, “Figure Beauty: In Just 6- Minutes Per Day” that showed women how to develop the perfect figure. Several other women’s magazines at that time also provided instruction on getting and keeping their gorgeous contours. 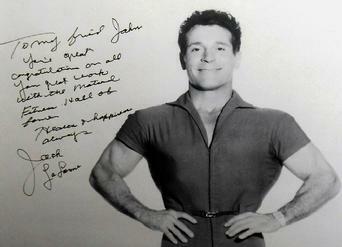 "The Jack LaLanne Show" was (and is) the longest running television program devoted to exercise & fitness. Between 1951 and 1985, Jack inspired millions with his easy to follow, sensible calisthenics exercises, charming personality and his always witty humor. Jack’s reputation began to spread and by the early 1950’s he was given the opportunity to utilize the new medium to reach even more people. Jack used television to reach out to millions of Americans everywhere with his gospel message of get out of your chair, workout and feel better. He was magnetic and the public responded! His motivational message spread across the country like wildfire and his show was an instant nationwide hit! Over ONE MILLION POUNDS – that’s what Paul Fogarty’s mail attests – over one million pounds and miles and miles of waistlines have been trimmed and slimmed from the figures of Midwest women in the past six years. All of this has been accomplished by the largest calisthenics class, “Your Figure, Ladies,” Paul Fogarty’s television program featured daily on WGN-TV, Chicago (1955). In keeping with the 50’s spirit of “Big,” health spas emerged as big business during this Era. With the economy being good, luxurious health spas were constructed, replacing the “dingy gym” and gave everyone the opportunity to experience this thing called “fitness” and the good life it produced! At this time the “King of the Health Club” was Vic Tanny. Vic opened his first health club in 1936 in Rochester, NY. His innovation was to use bright colors, wall-to-wall carpeting, full-length mirrors, chrome machines and inspiring background music which was a sharp contrast to the gloomy gymnasium typical in that day. In 1939, Tanny moved to Santa Monica, California and began to build a chain of more than 90 clubs throughout the United States and Canada. Theodore “Teddy” Roosevelt (1858-1919) was a great spokesperson for fitness in America and led by example. As a child he was sickly, suffering from asthma and poor eyesight. He exercised vigorously to improve his health and increase his body strength as served to inspire many. 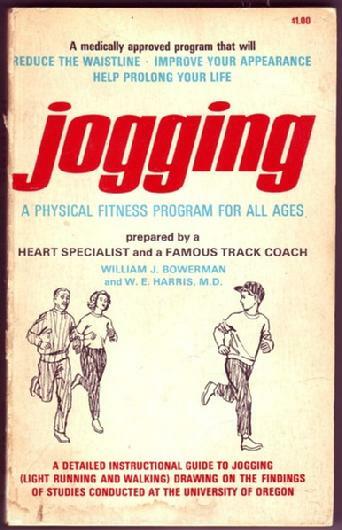 After Eisenhower, the council continued its efforts to help our nation get fit. President John F. Kennedy (1917-1963) would change the name to The President’s Council on Physical Fitness. LBJ would add, “and Sports” to encourage lasting fitness gains through sports and games.